International Convention Centre Sydney (ICC Sydney) has been awarded Best Public Building and Best Tourism and Leisure Development at the Property Council of Australia (PCA) and the Rider Levett Bucknall Innovation and Excellence Awards. Held at the venue on Friday 11 May 2018, ICC Sydney received recognition and praise at the awards for its innovative design and placement at the epicentre of the A$3.4 billion redevelopment of the Darling Harbour precinct. CEO of ICC Sydney, Geoff Donaghy said the PCA awards added to the array of accolades the venue and its team had already acquired and that the functional and flexible design supported the team’s ability to attract major events. “Our core focus is to deliver extraordinary experiences for each of the 1.6 million delegates, visitors and attendees that have walked through our doors, and ensures the success of the clients that have held more than 950 events with us. “A modern and contemporary design that celebrates Sydney, coupled with the exceptional services delivered by our team, underpins our success. “We are delighted to receive these awards from the PCA and congratulate all of our partners for delivering Australia’s premier convention, exhibition and entertainment venue,” Donaghy said. Minister for Finance, Services and Property, Victor Dominello said the recognition is well deserved and further confirmation that ICC Sydney is Australia’s premier events destination. “I congratulate Geoff Donaghy and his team for the passion and dedication they bring to the job. 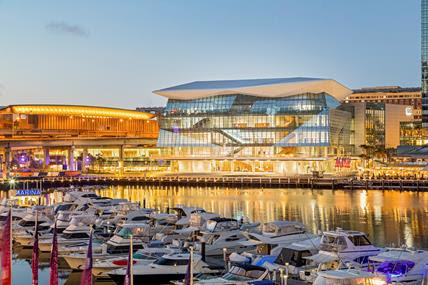 The venue has enriched Darling Harbour and made Sydney one of the most sought after destinations for conferences, business events and entertainment in the Asia Pacific region,” Dominello said.